These were to be the cooling towers for Chernobyl reactors #5 and #6. Construction on the #5 and #6 reactors continued after the Chernobyl disaster, but construction was finally abandoned in 1989, three years after the accident. 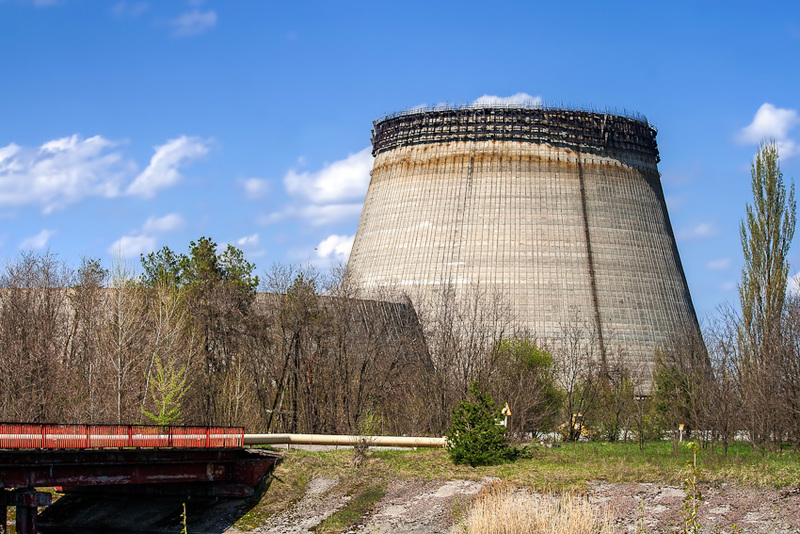 These were also the first cooling towers constructed for any of the Chernobyl reactors. Reactors #1-4 did not have them.